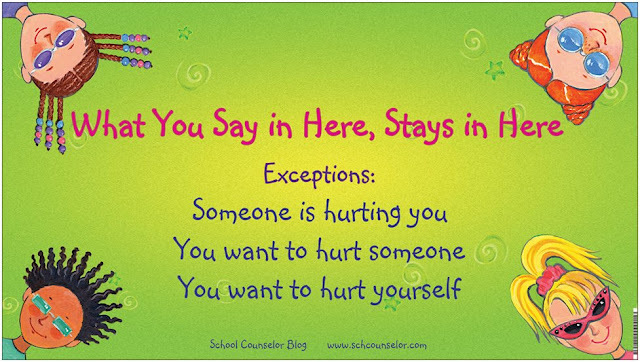 I have gotten tons of questions and comments about the "What You Say in Here, Stays in Here" Banner that I have in my school counseling office. Shown here in above the desk in the upper left side of the picture. Also shown here above my desk. I created the banner using VistaPrint. 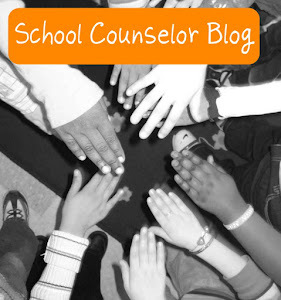 I got the idea for the banner from a School Counselor Blog Facebook Page Fan. The banner is made out of indoor vinyl and is 3' x 1.6' in size. VistaPrint is a great place to order personalized items. In the next few weeks I will be sharing some other great things you can order using VistaPrint. I have been trying to figure out an easy way to share this design with you so that you can reorder it yourself. Unfortunately, when I "share" a design, it does not come up complete with the words. I can share the link to order a banner with this same background, but not the completed banner. The link below will allow you to design the banner yourself. You can change the font color, font, style, etc. VistaPrint always has special offers and deals so be sure to google VistaPrint Coupons for coupon codes. Retail Me Not is one of my favorite places to look for coupon codes. If you want to order the banner right away and do not want to add the text on your own, I have figured out a way that I can order the banner and ship it directly you! 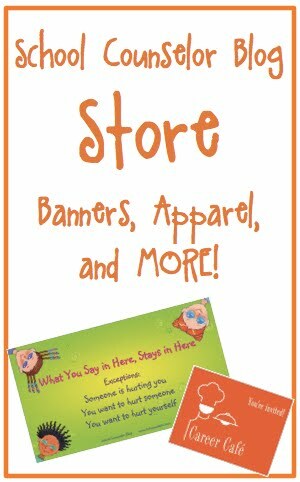 I created an online store where you can purchase banners and other items. 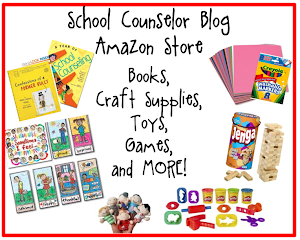 You can order the banner by clicking the button below or visit the School Counselor Blog Store for even more banner and product options. Whether you design your own or have me ship it to you, this is a great banner to display in your School Counseling office to explain confidentiality to students. Where do you get posters and banners to hang in your school counseling office? How do you let students know about confidentiality? Thanks for sharing. I love this! I love this poster. Great idea to have it created by Vista Print. Thanks for the idea!! I just made my own confidentiality poster in Vistaprint and made some counselor "stickers" (aka return address labels- since they're currently free!). Thanks for the motivation, @sch_counselor! I loved yours so much, I made my own (used your wording). I changed the background because I'm a high school counselor. Thanks for the great idea!